Smoke rises up from the back of Luo Hongwu’s head, shot straight from behind. The haze of the smoke billows up languidly out of frame, while Luo smokes and listens. Later in the same scene, we see his face from the opposite angle. On the wall behind him, water cascades down either from rain or eternity. In this single sequence, Bi Gan tips his hat stylistically to two giants of Chinese-language cinema: the hazy style of Wong Kar-Wai and the everlasting wetness of Tsai Ming-Liang. Nevertheless, Long Day’s Journey Into Night (2018) is wholly Bi Gan’s, a beautiful dream entirely of his making (and those who worked with him on the film of course). The scene mentioned above is even one of the less stylized sequences in the film, which comprises of atmospherically shot scene after scene in the first half, which is already quite dreamlike in mood and structure, only to turn into what feels like one hour long dream sequence in the second half – all done in one shot (in 3D). In between, the title card appears almost like a mission statement. The resurgence of 3D in the 21st century has mostly been a gimmick. Only a handful of filmmakers have made interesting use of the technology at all. 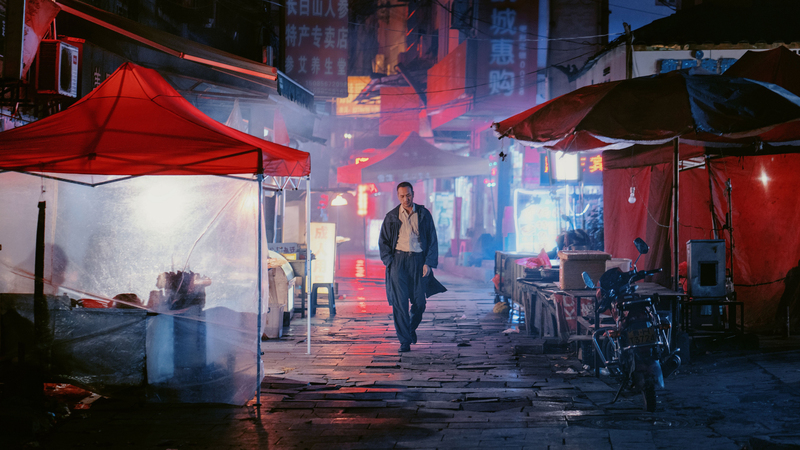 Bi Gan adds himself to that small list with his bold stylistic move in Long Day’s Journey Into Night (called Last Evenings On Earth in Chinese). Fully using the 3D to immerse the viewer into what might be a dream, or might be something else entirely, Bi takes both viewer and protagonist Luo on a journey I’m still not sure I’ve come back from. I experienced the kind of complete immersion that both long takes and 3D technology are often boasted to be designed for in the first place, but so rarely deliver in such a complete way. However, this second half partly works so well, because that journey actually already started at the very beginning of the film. During the first half, Luo Hongwu searches for a lover from his past, who might be named Wan Quiwen and is played by the luminous Tang Wei. The search is told in elliptical fashion, interspersing past and present in a slippery way that never fully congeals into a fully coherent whole. 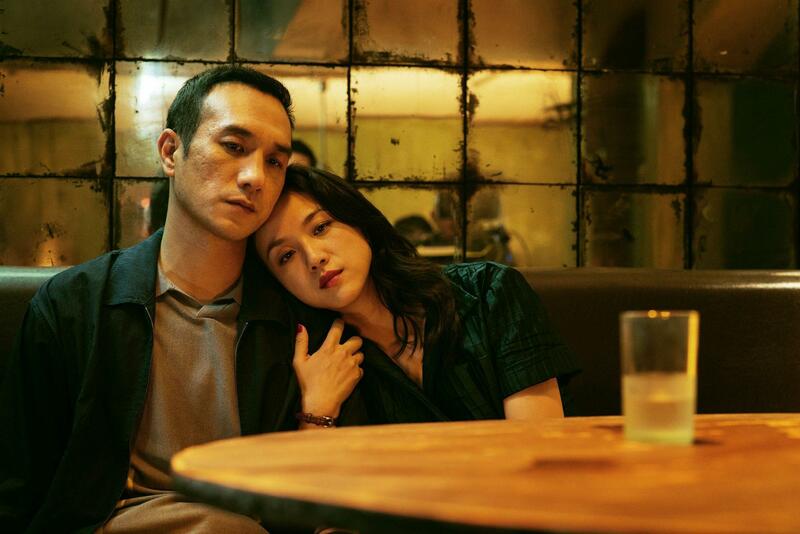 But not completely knowing what exactly happened or if Luo will ever find Wan is part of the pleasure, and part of what lends Long Day’s Journey Into Night its dreamy atmosphere. If the plot is ostensibly vague, the other important factors that help create that atmosphere are very precise: the moody music by Lim Giong and Point Hsu, and the gorgeous cinematography by Yao Hung-i, Dong Jinsong and David Chizallet. For instance, I don’t remember the first meeting between Luo and Wan because of any relevance to the story, but I do remember it for its mood and its audacious cinematography. The scene takes place in two parallel tunnels, and is shot partly from a car slowly backing up from one tunnel and riding into the next, enabling Bi to shoot everything in one long take. The perspective appears to be that of Luo, looking at Wan, until he himself moves into the shot. When switching between tunnels, the image is briefly subsumed by rain quickly covering the windscreen of the car, only then actually revealing a car is present in the scene at all. Meanwhile, the tunnels lend themselves easily to well-lit, beautifully centred, high-contrast images. The whole scene doesn’t entirely make sense in terms of perspective and physical logic, but that doesn’t matter and in fact, probably helps to get swept up in it. It’s been quite some time since I felt so much immersed in a film, and so much in awe of its beauty at the same time. And that’s all before Luo plops down into a cinema and puts on his 3D-glasses, prompting the audience to do the same, the title appears on screen and the final part starts. During which actors, phrases and ideas from the previous part reappear in a different context, with new names except for Luo. He finds himself in a cave and needs to beat a child at a game of ping-pong to find the way out, kicking off an even more immersive, dream-like journey into Luo’s past, present and perhaps even his future, through the outskirts of Kaili City, Bi Gan’s hometown in which he also shot his debut, Kaili Blues. A very cinematic, poetic journey including pop songs, a spinning house and camera and characters taking flight. Seeing Long Day’s Journey Into Night on the last day of the International Film Festival Rotterdam was a great way to close my festival experience. But I regret only attending the last screening of the film, because I would’ve liked to have seen it twice already, or maybe even thrice. I hope I’ll get another chance to immerse myself fully in Bi Gan’s world.